"I actually claimed twice last year. The first time, I went too fast over a jump on a rhythm section, went straight over the bars and straight into the face of the next take off which stopped me dead. I broke my collar bone and was off work for 5 weeks. I received £3,600 in through Totally Sports which helped me no end as it was January, which is always difficult financially being just after Christmas." 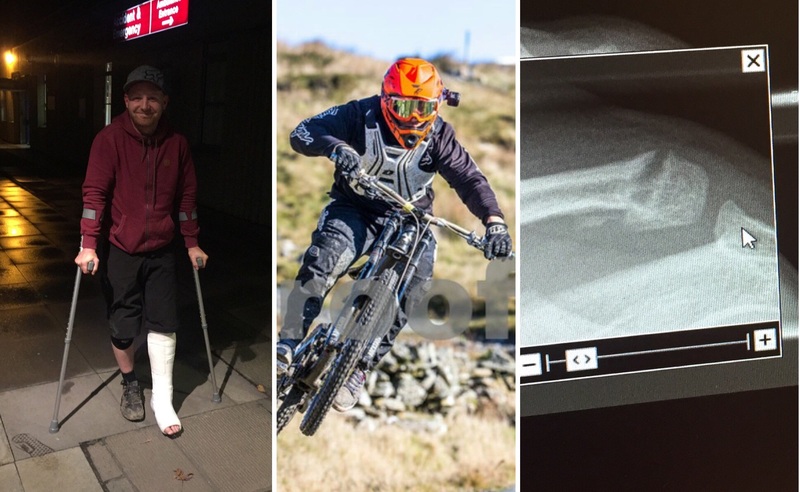 "The 2nd injury was in October and happened at Wales Downhill MTB Park. I got my toes caught under a tree root and it snapped my foot under the peddle braking my tibia and fibula in my ankle. I was off work and unable to walk for a long time. I didn’t return to work until the middle of January this year and in total I was paid out £7,000. If I didn't have this insurance I would be screwed." Request a free quote for yourself by completing the form below.